There’s nothing quite like the crack of the bat, the sight of a baseball soaring through the air and the roar of a crowd as a runner sprints for home plate. While baseball is America’s National Sport, if your children are between 4 to 7 years old, it may be premature to have them start playing a game with such a high level of strategic depth and strenuous physical demands. However, that doesn’t mean they have to miss out on America’s pastime completely. T-ball leagues allow children to experience much of what baseball has to offer, but with simplified rules and an emphasis on developing skills and character. Just like in baseball, a T-ball player isn’t fighting alone – his or her team is there to support and cheer them on. Nobody can cover all the bases themselves, nor can anyone go to bat every single time. Joining such a team-oriented sport can teach children that they can work with others to achieve a goal, and that doing so can be fun too. Not only that, they can learn that each person has their own strengths and weaknesses and that being different doesn’t mean you can’t work together. This kind of life lesson is something that children can carry with them for the rest of their life, just like their cherished memories of playing with their team and getting stronger together. Other players’ successes can spur others to work harder, giving them an incentive to grow not just physically, but emotionally and mentally as well. 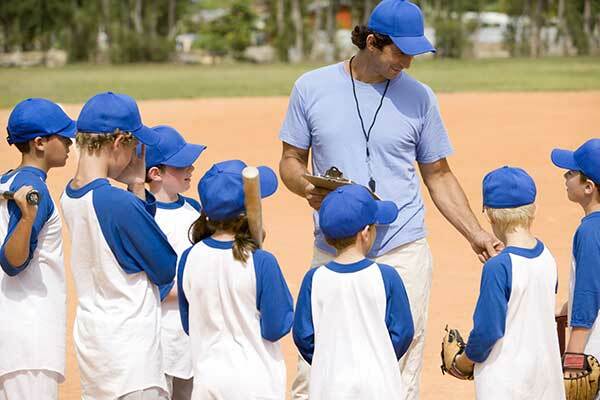 Participating in a T-ball league can teach children that they are a valued member of a team and that what they do matters to both themselves and other people. Children at such a young age are incredibly impressionable and are in a good place to learn that their contribution can make a difference. In T-ball, the simplified rules mean that there are no fancy plays or clever tricks like in baseball – you can’t steal bases, for example. What matters is being able to consistently hit balls, run bases, and follow the rules of the game. In such an environment, players who put in the work during practice and get along with their teammates will be greatly rewarded, which is exactly the kind of mentality that children need in order to set them up for life. 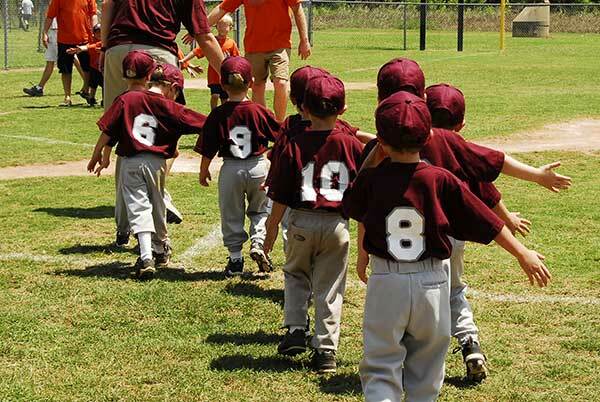 With the way T-ball rules are set up, a player has to be on both offense and defense, possibly playing every single position throughout the course of a league season. Since the goal of T-ball is to teach correct techniques and the basic rules of baseball, children are encouraged to get involved in all aspects of the game. Children may be shy and apprehensive about playing in a position they are unfamiliar with or doesn’t appeal to them, but this experience can teach them that doing something new or something different doesn’t have to be a bad thing. Being able to say that they tried and had fun, even if it didn’t work out, can make them more open to trying new things in the future – and that’s something that can pay dividends in the long run when it comes to all aspects of a child’s future. 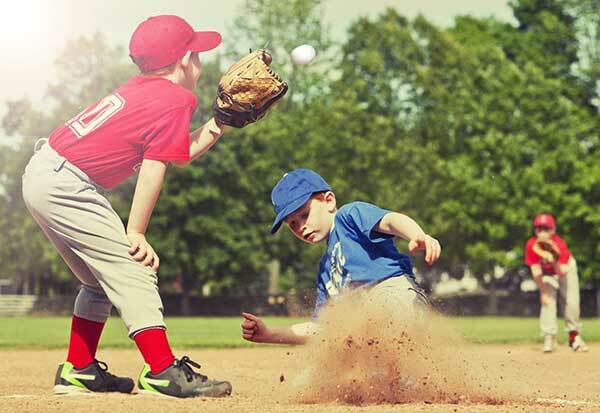 Since T-ball leagues usually have very young players, they’re encouraged to keep trying to win no matter the score. Some leagues have “mercy” rules that allow losing teams a better chance of making a comeback, and some don’t count runs at all. The important thing is that the children learn that effort is never wasted and that their hard work is worth something. T-ball spectators are encouraged to cheer players on by name, no matter the score, and most games will have a roster sign so everyone can do just that. Allowing children to hear people chanting his or her name can be an incredibly uplifting and gratifying experience for them, and it’s that kind of passion and love of the game that can make them a fan of baseball for life. Win or lose, being able to play and give their all can be a reward in and of itself. If you’re part of a T-ball league or are running one, Great Lakes Trophies & Engraving would be happy to provide a wide array of trophies, medals, and awards for you. For inquiries, call us at 734-266-1815 or fill out our on-line contact form to find out more about what we can offer you.